Just trying to help spread the word that Kentucky Music Weekend is this weekend at Iroquois Amphitheater! 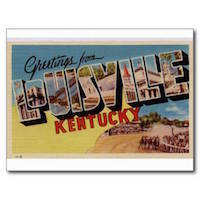 Lots of fun Kentucky music, food, arts & crafts and more! Excellent! And this is all free, is it not? Robin Garr wrote: Excellent! And this is all free, is it not? There will be a $10 “suggested donation” for the festival each night this year. Daytime events are free. Donations will go to pay artists, and actual festival costs and expenses. Those having a tough economic time can still come to the festival and bring their families, paying whatever they can. Those that are able to pay are supporting these artists and also contributing to continuing Kentucky’s musical heritage through this event. Dare To Care food bank will be collecting non-perishable food items throughout the event. Collection bins will be located near the entrance gate, just look for the Dare To Care signs. Heather L wrote: There will be a $10 “suggested donation” for the festival each night this year. Daytime events are free. Donations will go to pay artists, and actual festival costs and expenses. Those having a tough economic time can still come to the festival and bring their families, paying whatever they can. Those that are able to pay are supporting these artists and also contributing to continuing Kentucky’s musical heritage through this event. More than reasonable. Thanks for posting this, Heather! No problem! The Juggernaut Jug Band plays on Friday night. It always comes back to jug bands! We attended the Weekend for years (I still have several tee shirts as proof) I encourage anyone to go at least once. However, and this is nothing against the Ky Music Weekend or Nancy Barker the lady who has so tirelessly put this together for more than 30 years, I think it lost some of its sparkle when the Iroquois Ampitheater was renovated...the old Ampitheater had such a charm that will never be replaced.